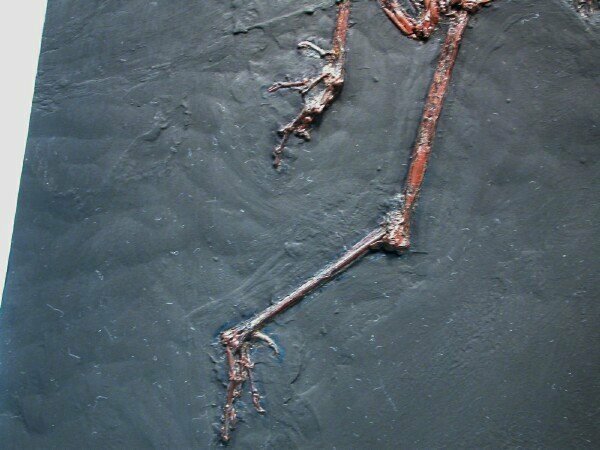 Description: This is a rare bird fossil from oil shales of Messel Pit, an Eocene Lagerstatte site in Germany. 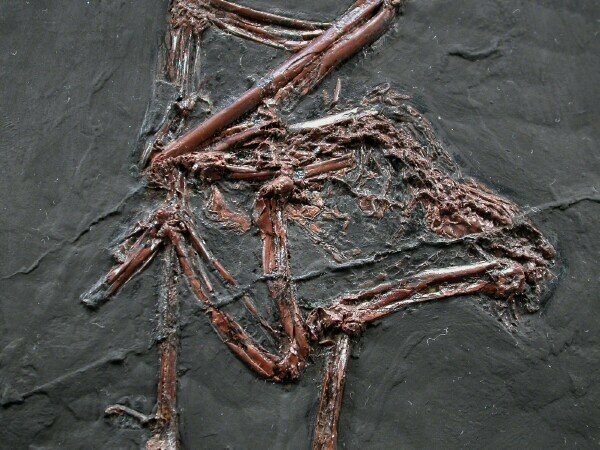 Messel fossils are famous for exquisite and fully articulated preservation, and some soft tissue preservation appears present here near the birds crest. 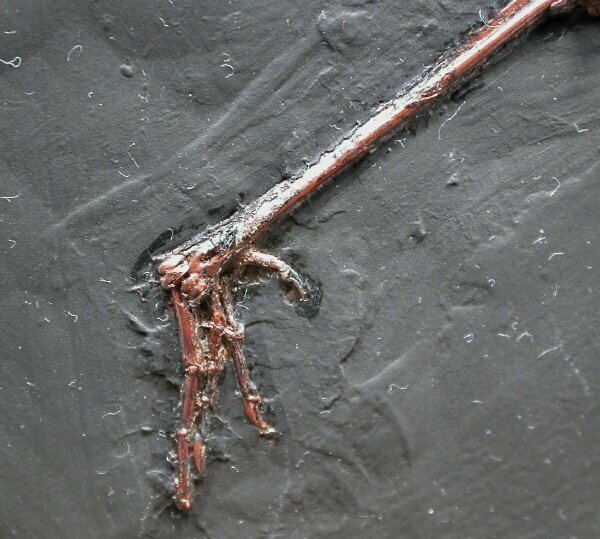 As a member of Aves Order Gruiformes (meaning crane-like), it has a large number of relatives contained in both both living and extinct families, with wide geographical dispersion. 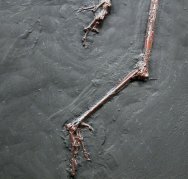 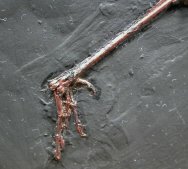 Essentially all bird fossils are rare due to their hollow bones that normally preserve poorly. 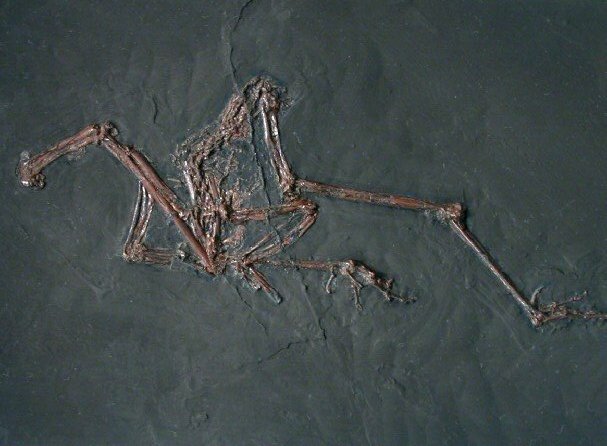 The Messel Pit’s anoxic environment, however, made fossilization much more likely for unfortunate birds likely overcome by toxic fumes that fell into the Eocene lake. 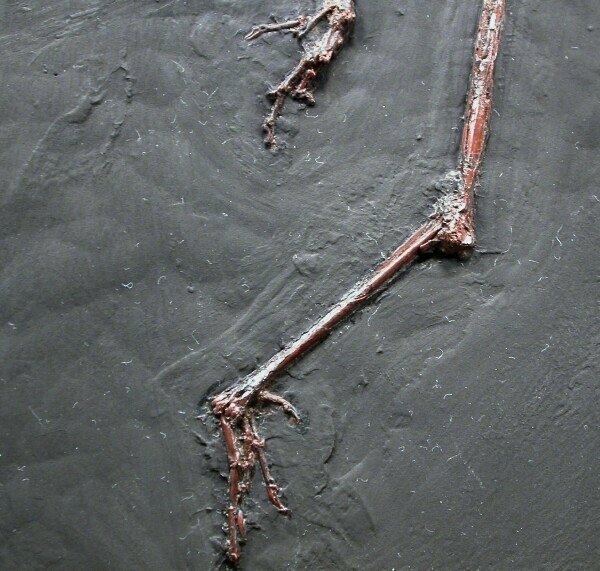 This fossil is embedded in resin, as is the usually special preparation process required for Messel fossils.